Insight Unit of the Nigerian Prisons Service, with the support of men of the State Security Service, SSS has recaptured denounced Hausa film performing actress, Rabi Ismail, who gotten away from Hadejia Prison on December 16, 2011.Rabi Ismail was sentenced to death by hanging, for culpable homicide by a High Court in Kano on the 5th of January, 2005. 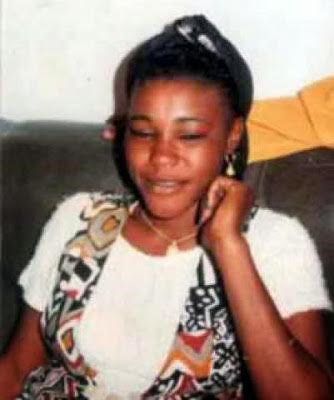 In July 2011, the Supreme Court upheld the sentence of the lower courts that sentenced her to death by hanging for killing a male friend, Auwalu Ibrahim, to acquire his property. The court found her guilty for drugging and drowning Mr Ibrahim in 2002 in Kano. The Controller General of Prisons expressed appreciation to the assistance rendered by security agencies particularly the SSS and the police in arresting the fugitive. He appealed to members of the public to continue to provide useful information on escapees and indeed any criminal element in their midst to security agents, noting that such outlaws pose security threats to the society.